This cosmopolitan center of the Peach State is now essentially the booming capital of the proud southern states. 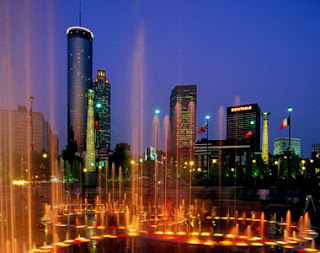 Atlanta offers world class dining destinations, a thriving art scene, top notch sports teams and interesting neighborhoods. Take to the streets and explore neighborhoods such as Little Five Points, Virginia-Highlands, Midtown and Inman Park. While there is much to do in the ATL, below you will find my picks for a weekend getaway in this city brimming with a certain modern southern charm. 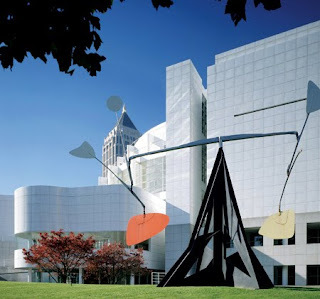 The High Museum- a wonderfully modern structure (recent additons by Renzo Piano)with a nice permanent collection and good traveling exhibits. Most recently the museum has had pieces from the Louvre and the Chinese Terra Cotta Warriors. If you have children with you, a visit to Fernbank Museum of Natural History must be added to your list as it is the home of Atlanta's dinosaurs. Chastain Park- I adore Chastain Park. It is in the heart of Buckhead and features stables, lovely walking/running trails and the most delightful amphitheater. 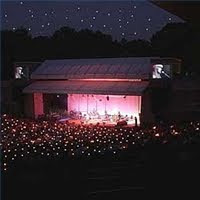 On a recent trips to Chastain Park, my family and I had the pleasure of seeing John Prine and Duran Duran. If you have the opportunity to attend a show, be sure to pack a picnic and a bottle of wine. Not to be missed lunch spots- Souper Jenny and The Swan Coach House. Souper Jenny is the perfect lunch spot. The menu changes daily but is always fresh and healthy. As additional entertainment, most of the staff are trained in musical theater and as such it is always a fun trip. Note- don’t be deterred by the line out front- it moves fast and is well worth the wait. 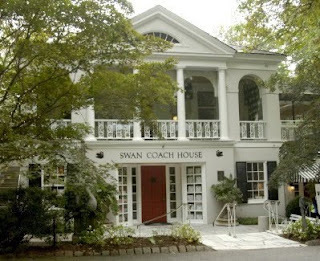 The Swan Coach House- Dine with Atlanta’s finest ladies at this charming spot. I recommend the swan’s plate, it comes served with the most delicious cheese straws and dessert. On your way out, stop in the gift shop to purchase gifts with a southern flair. For a bit more laid back Atlanta experience, step into The Varsity and step back in time. When you visit the world's largest drive-in fast food restaurant, you will surely be asked, "What'll ya have?" If I were you, I would be sure to order some strings and an FO. As you can probably guess, The Varsity has it's own unique language and fabulous food. 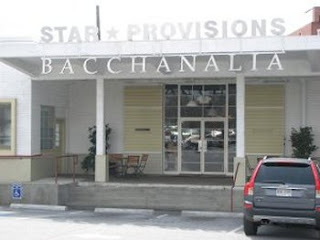 Top Dining Pick-Bacchanalia. The cheese plate here is perfection. Using only local and fresh ingredients, this dinning spot is top of the line. As if the menu is not enticing enough, to reach your dining destination you must walk through Star Provisions and be tempted by the endless array of deliciousness that greets you. Want my suggestions for hotels and additional activities? Please email me at theconsummatehostess@gmail.com. I look forward to hearing from you and am more than happy to help! This entry was posted on 5:52 PM and is filed under Atlanta , Weekend in Atlanta . You can follow any responses to this entry through the RSS 2.0 feed. You can leave a response, or trackback from your own site. Wow, Atlanta sure has changed since I was there ages and ages ago. It's a great city and you named so many wonderful places~!! Hi Sarah, welcome! I am delighted that you found my blog and look forward to hearing from you often. Atlanta is a fabulous city and aren't Thrasers games a hoot?! I love the spirit of the rowdy fans and players. Hi LindsB! I think that an increase in domestic travel is one of the highlights of this otherwise dark financial time. With airfare and exchange rates being outrageous- I love the trend of taking time to explore our own backyard. We have a wealth of natural wonders and interesting cities awaiting our visit :).